When I read the inside book flap of Page Morgan’s The Beautiful and the Cursed I thought the book had a lot of potential: Victorian Paris, pretty dresses, and les Grotesques (gargoyles). Really what more could a girl ask for? But in the end that’s all I ended up with, a lot of potential and no culmination. The book starts out strong with the prologue and the first few chapters from the perspective of the hero and the heroine. But soon after it diverts into various different directions and perspectives. At some parts I was completely apathetic toward the characters. I just didn’t care and just wanted to get through their sections so I could return to the characters I was actually interested in. Even then I felt as if they could use more flushing out. Where Morgan was the most successful was with the Grotesques. The descriptions of each of the gargoyles were filled with so much depth and character that they came vividly to life. I loved the passages detailing the physical characteristics of each of the individual gargoyles and clans. I found it interesting that a person’s strongest personality traits determined the shape, form, and clan that they take when cursed into gargoyle form. Even though only one gargoyle is a main character, the “Grotesques” are the main redemption for this book. But in the end, as much as I enjoyed the gargoyles, my overall feeling about the book was meh. There was not any part that dragged me in and made me want to keep reading. 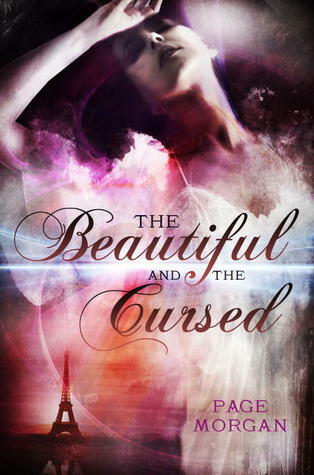 This could be a result of The Beautiful and the Cursed being the first in a trilogy. The necessary development of characters, setting, and theme did sometimes overwhelm the story. Characters and moments that will be relevant in future books at came off as superfluous. I am hesitant to completely write off this series for the same reason I was originally drawn to the book: potential. I still believe that there is a chance for the subsequent sequels to flourish.